Captain Jason found just the right spot to snorkel away from the cruise crowds. First Mate Alex caught a sting ray and let us hold and feed him with the squid he provided and then took us to the star fish bed. The boat was beautiful and the whole experience was amazing. They were attentive to all our needs. Great boat! Captain Jason and Alex were professional and knowledgeable. Swam with many rays....snorkel stop had much to observe. And the sea star beach was a good learning experience. Cooler was stocked with cold water and sodas. Thoroughly enjoyable! I hired the boat for a morning and my wife and I had a great time. Jason the captain was very knowledgeable and the trip was very flexible based on what we wanted to see and do. I will be returning 2019 and be hiring this boat again! We booked this trip out a few weeks before we left for Grand Cayman. We've used Viator last summer to book excursions to the Amalfi Coast and to the Isle of Capri in Italy and loved using them. Their website couldn't have been easier to navigate and the best prices on the web. They were communicative, informative, on time, pleasant and courteous and really know their stuff. Alex met us at the hotel on time for our 130pm afternoon snorkel stingray city and starfish point 4 hour attraction. We booked it for 10 people. We were pleasantly surprised the boat was a 32 ft fishing boat, spotless!!! Had a bridge and plenty of space below for all 10 of us plus captain Jason and kudos to first Mate Alex, they were both awesome. We had the Saturday afternoon 130pm tour. Prompt at the hotel pickup and the van only seated 7 so the remaining 3 went via their rental car. We got on the boat and headed out to swim the reefs and see eels, stingrays fish etc, the water was amazing and Alex would feed the fish and take photo's of our group. Captain Jason was very knowledgeable of the area and the fish etc. Spent plenty of time at all 3 places, snorkeling, the stingrays and starfish point. They provided water and soda and we brought beer and snacks. The name of the boat was called Hooked, just perfect for our group of 10. Captain Jason and First Mate Alex couldn't have been more gracious and knowledgeable about the area and the fish. Both are locals from the Island, great 4 hour tour. I will tell all my friends back home about using them and when we return to the island, we will definetly go back and use them again. Class act all the way. Professional courteous and a great price! Don't hesitate to use them at all. Thank you Captain Jason and Alex you made our last day in Grand Cayman a great one. We had a day in Cayman on a cruise stop and were so glad we booked with Jason! They were easy to communicate with before the trip and Alex picked us up and dropped off right at the ship. It was windy the day we were there so Jason revised our itinerary so wed have the best possible weather for the snorkeling and swimming we wanted to do. Jason is a knowledgeable, competent captain and we felt safe and learned a lot about the island from him. Cant thank Jason enough for his patience and calm with my kids when we stopped at Stingray city. They were really nervous he not only got them all in the water, but they all held, fed or kissed Speckles the stingray- really cool experience! The snorkeling was amazing and being on a private tour was so nice- the big tours we saw looked packed on boats and chaotic. Would highly recommend Jason and Alex and would love to come back and do another trip with them. Great Trip, Great Crew, Great Experience, Great Boat, ! Highly recommend. Was our best day in Grand Cayman. Our family of 5 took a 6 hour adventure with Jason and Alex and had an amazing time. They tailored our trip to our specific requests. Jason took us to some of the best snorkeling spots we have ever seen. After experiencing the amazing stingray city, we went to 3 other spots where we saw some incredible species, such as grouper, spotted eel, and our favorite a green moray eel who demanded to be filmed close up. We enjoyed a fantastic traditional Caymanian lunch. Thank you for the wonderful trip and we look forward to seeing you again real soon. Would highly recommend to anyone looking for your own unique experience. My family recently had an amazing day in Grand Cayman on the Mary Girl with Captain Jason and First Mate Alex. The weather was gorgeous, the water pristine, the boat absolutely terrific but it was the crew that made our day so memorable. to anyone who has a day to spend on the island. Jason and crew did an outstanding job. Communication before the trip was fast and complete answering all my questions. 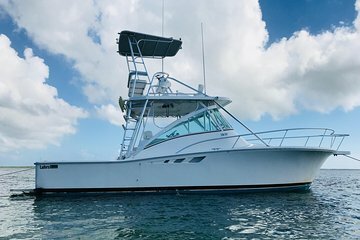 We did a 6 hour charter and would do again!! Very engaging and delivered a day to remember. Justin and Alex are simply the best! 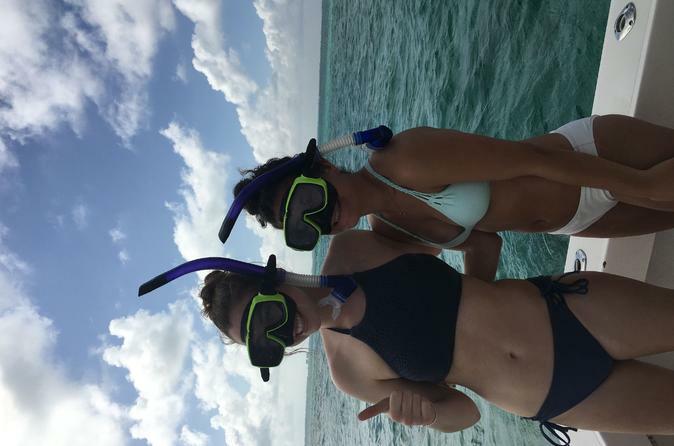 We highly recommend booking your snorkel trip with them. They were super flexible and allowed us to customize our trip. We are two parents traveling with four teenagers and this excursion was our favorite of the entire trip.